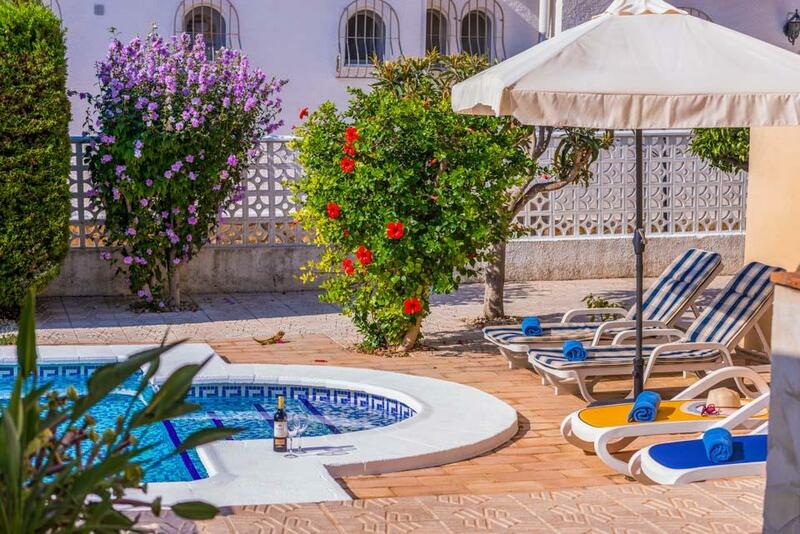 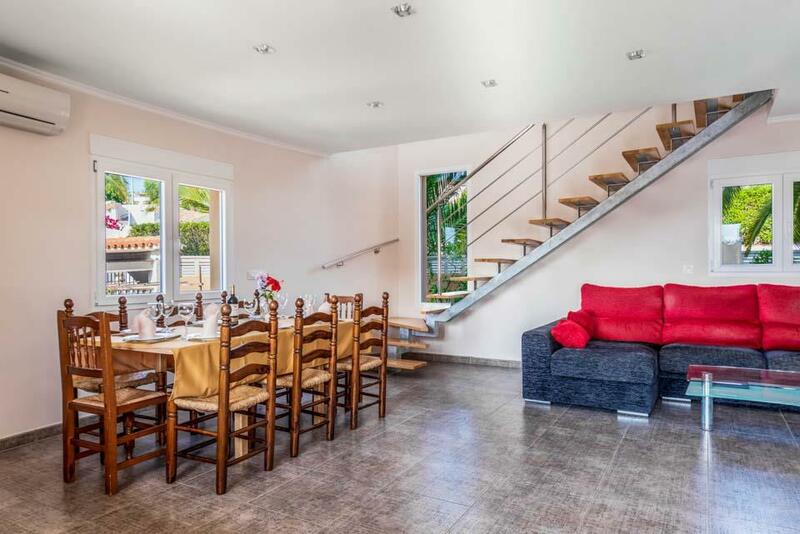 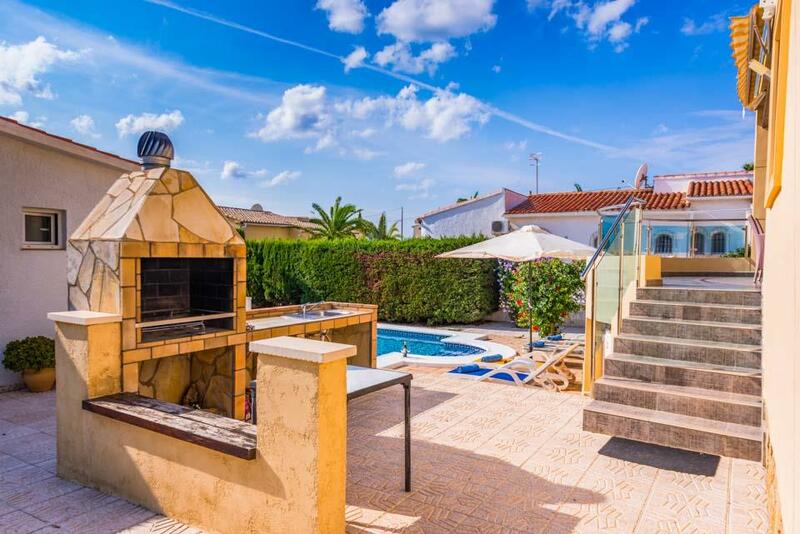 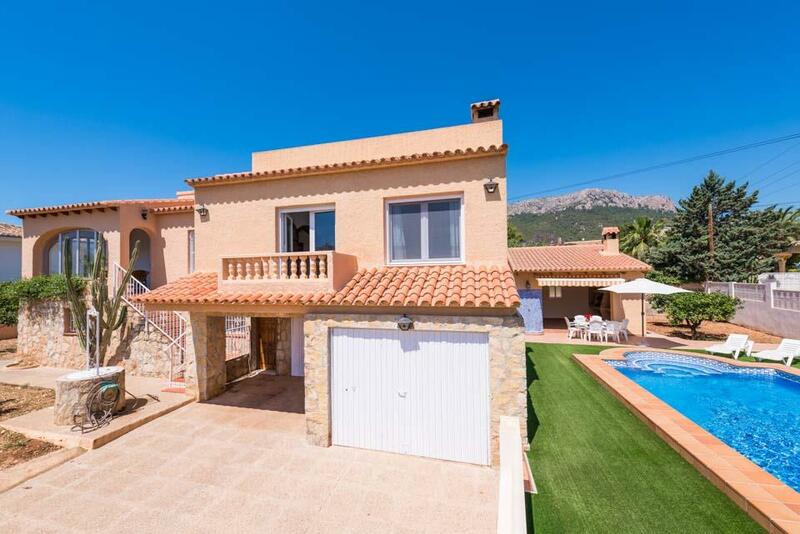 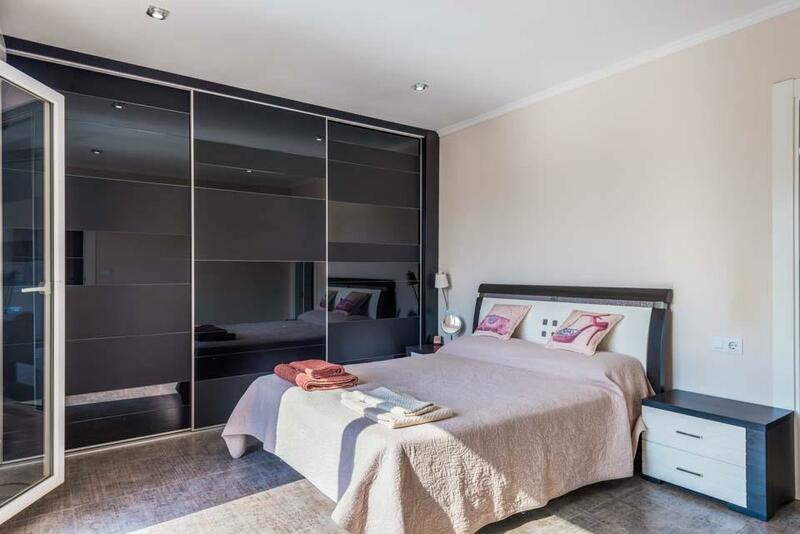 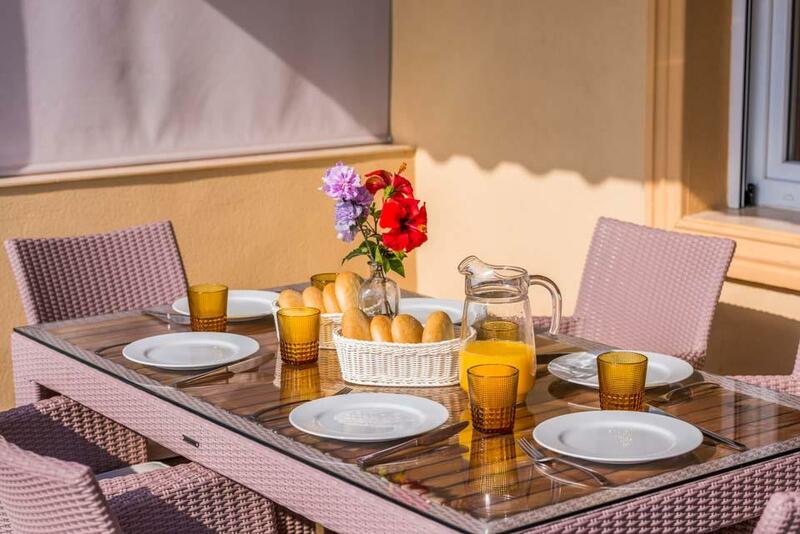 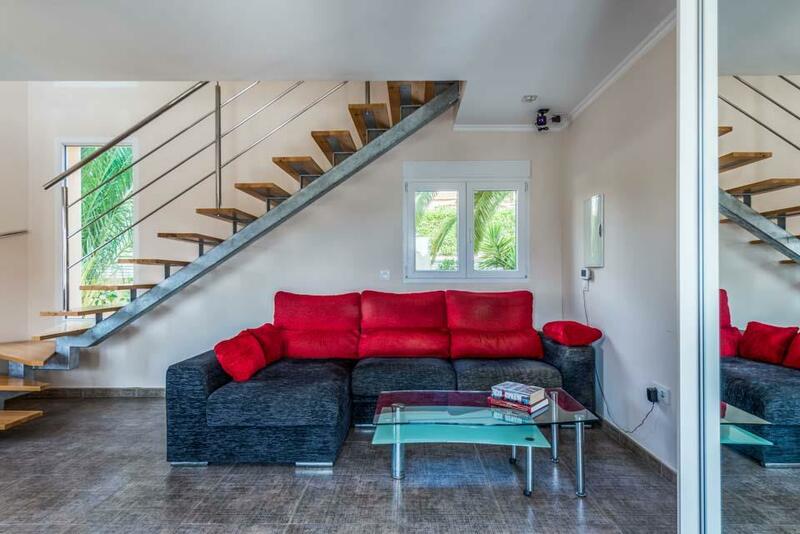 Casa Rambla is a modern, four bedroom villa set in a quiet residential area but still boasting a very central position being close to it all. 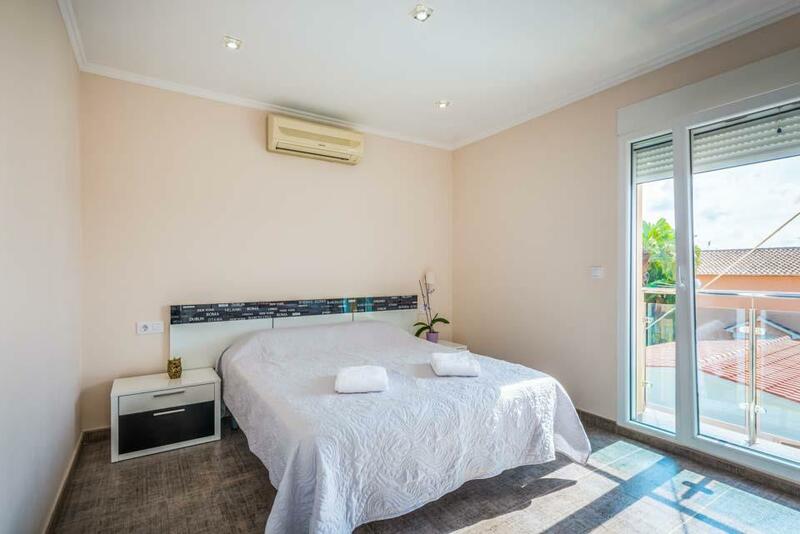 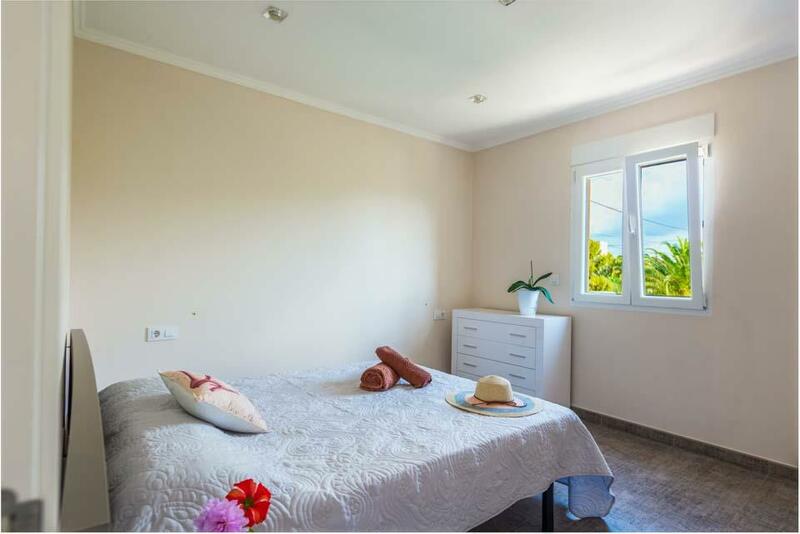 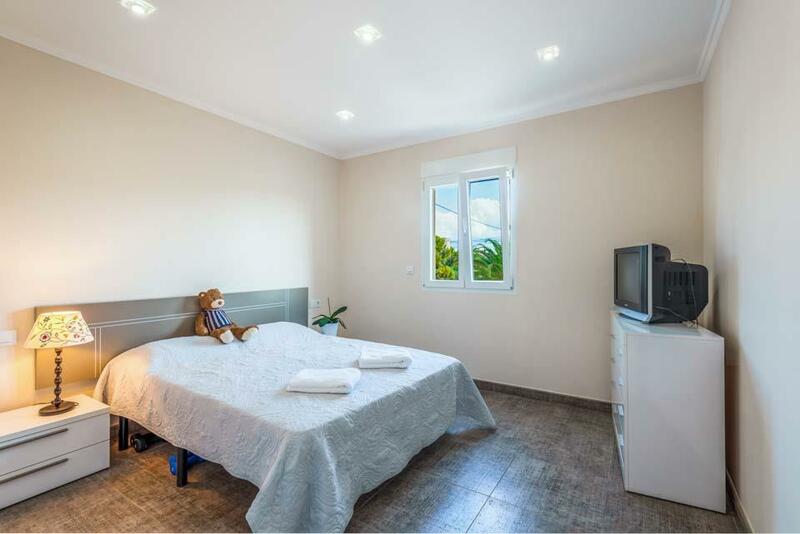 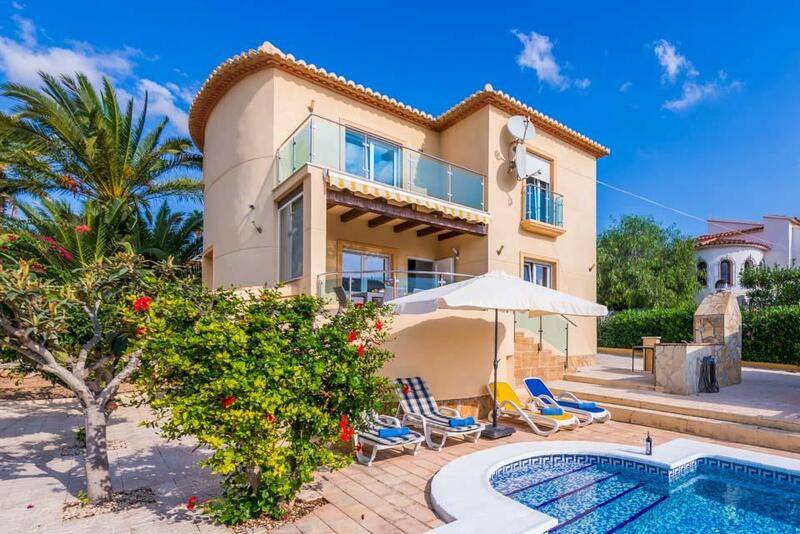 Casa Rambla is a modern, four bedroom villa set in a quiet residential area but still boasting a very central position being close to it all; amenities, beach and the resort centre all within 10 minutes’ walk. 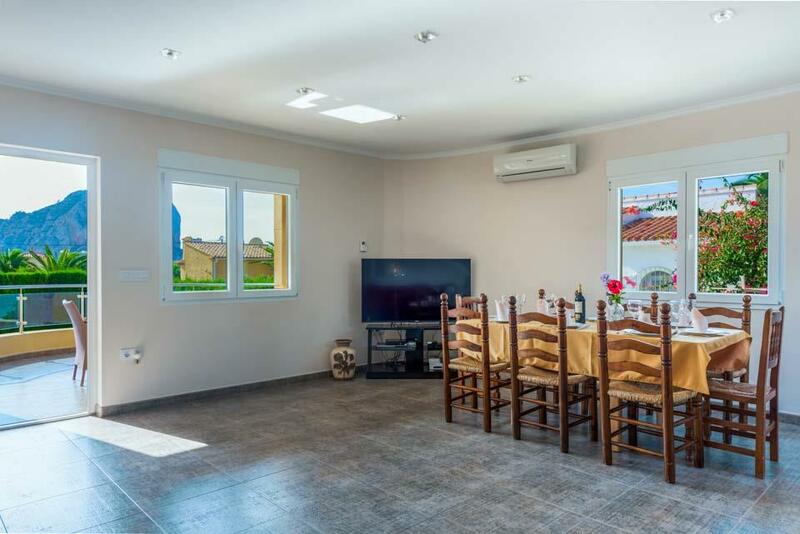 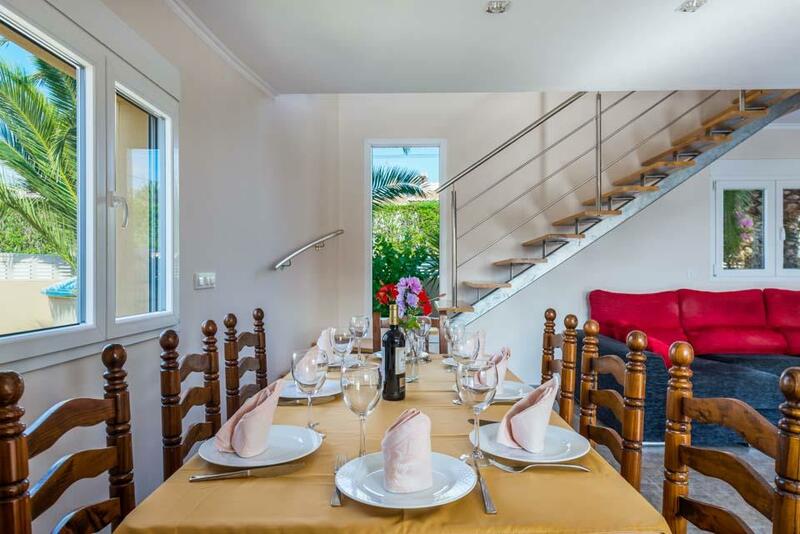 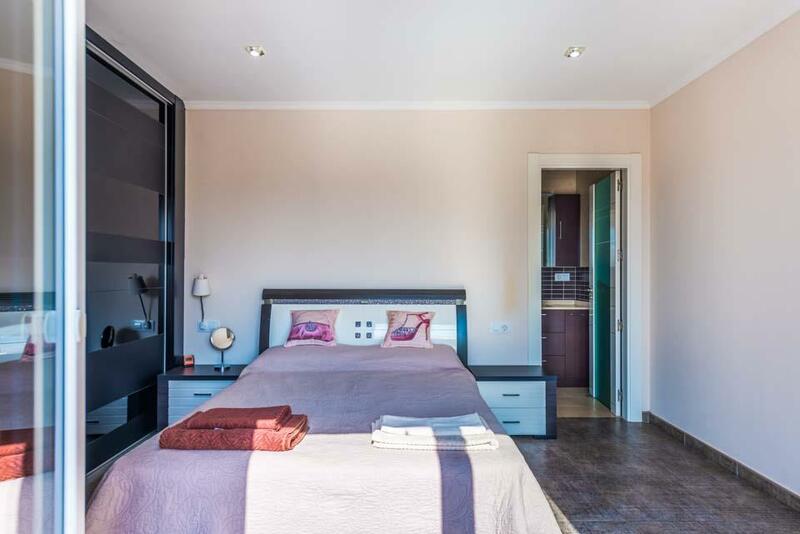 Located next to Las Salinas, a beautiful natural reserve with its resident pink flamingos, Casa Rambla consists of the main villa with a lounge and a kitchen with a bedroom on the ground floor. 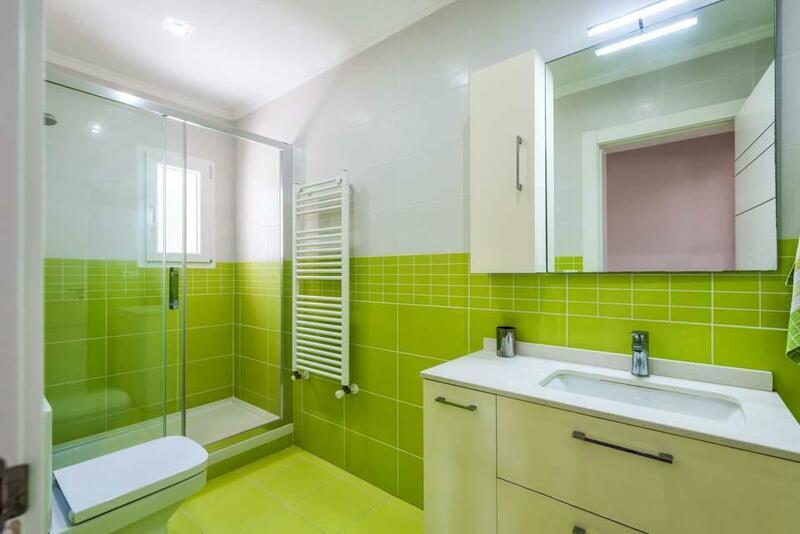 Upstairs there is a double bedroom with its own shower ensuite. 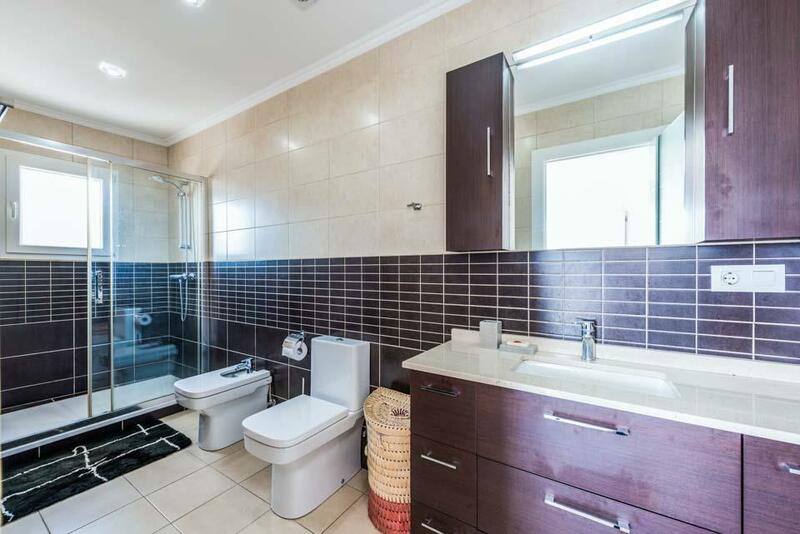 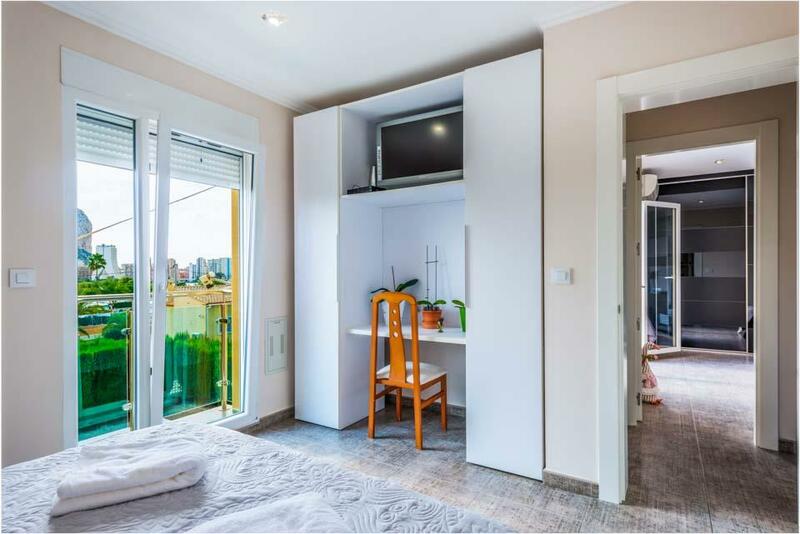 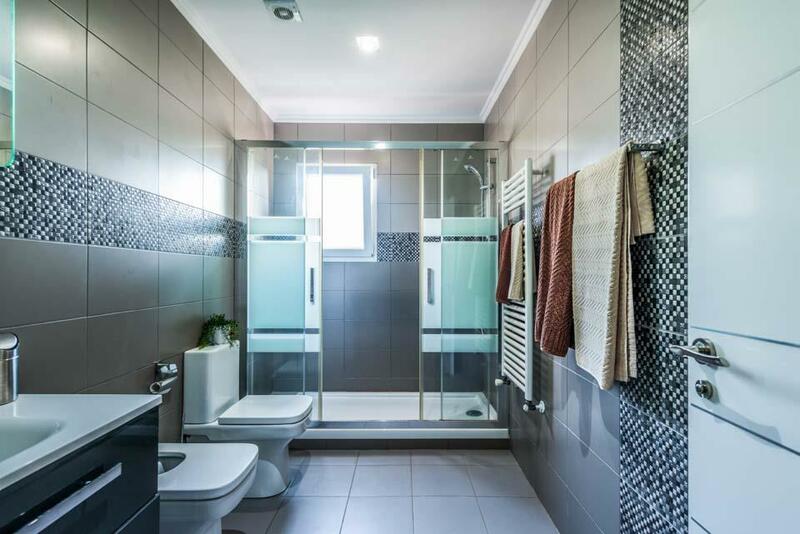 A further two double bedrooms share another shower room. 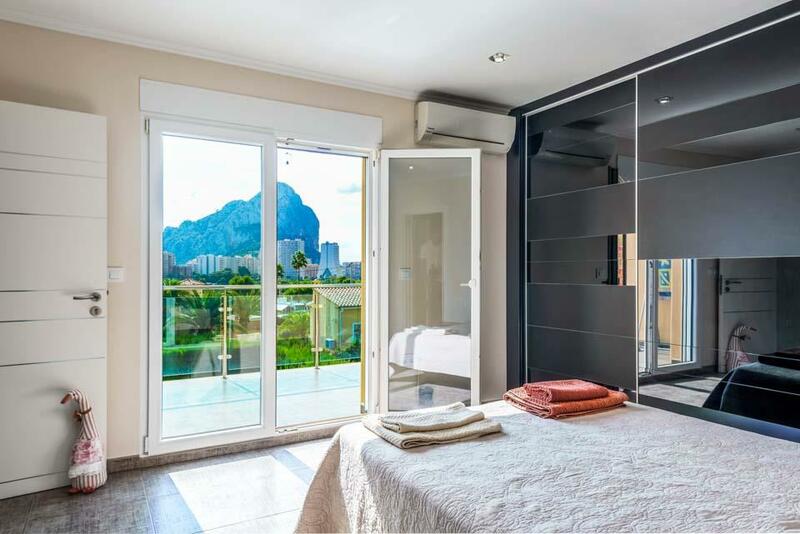 Patio doors lead out from the lounge to a covered terrace overlooking your private roman shaped swimming pool with the Rock of Ifach dominating the background. 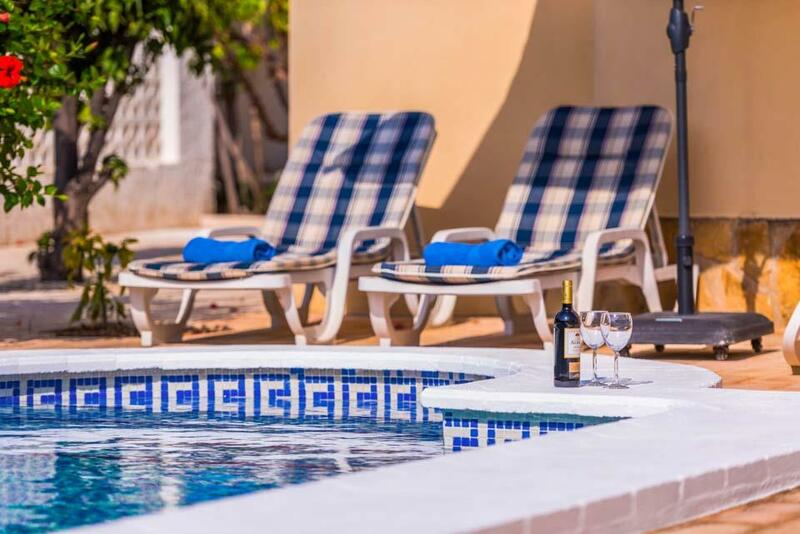 The lounge and all bedrooms are fully air-conditioned and WiFi is readily available throughout the villa. 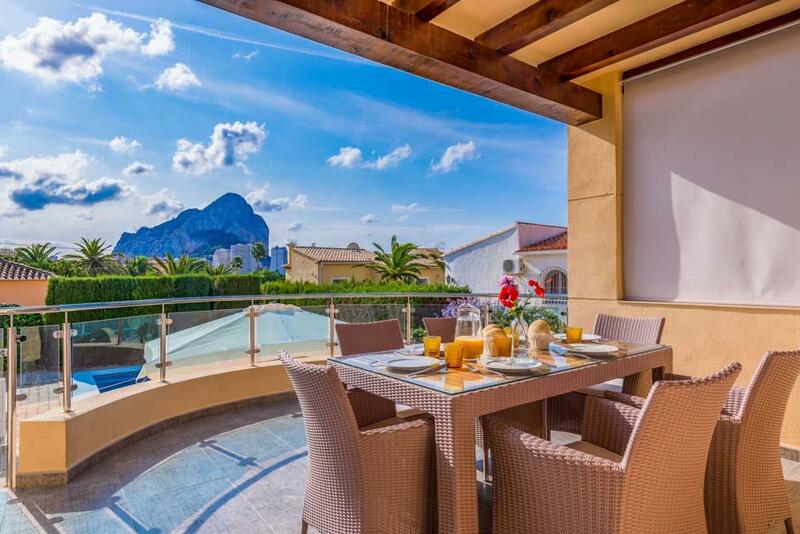 Enjoy alfresco evenings dining under the stars, stroll into Calpe and walk along the promenade, or dine in one of the fresh fish or tapas restaurants. 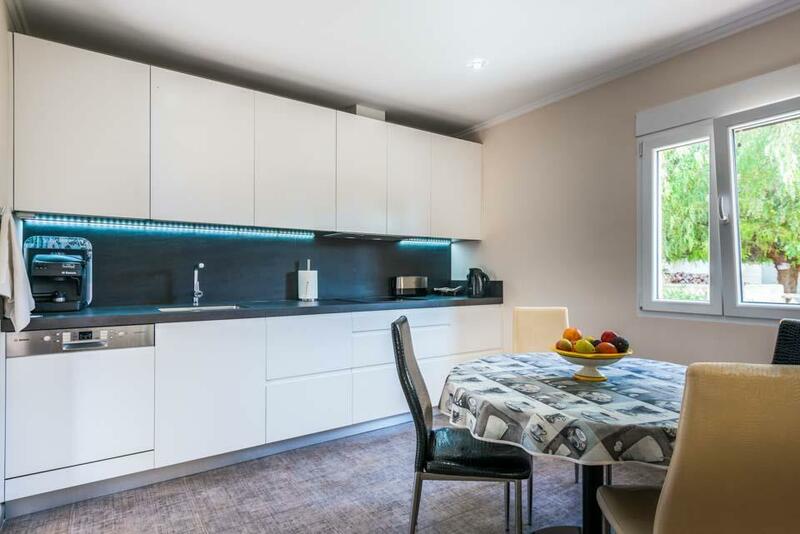 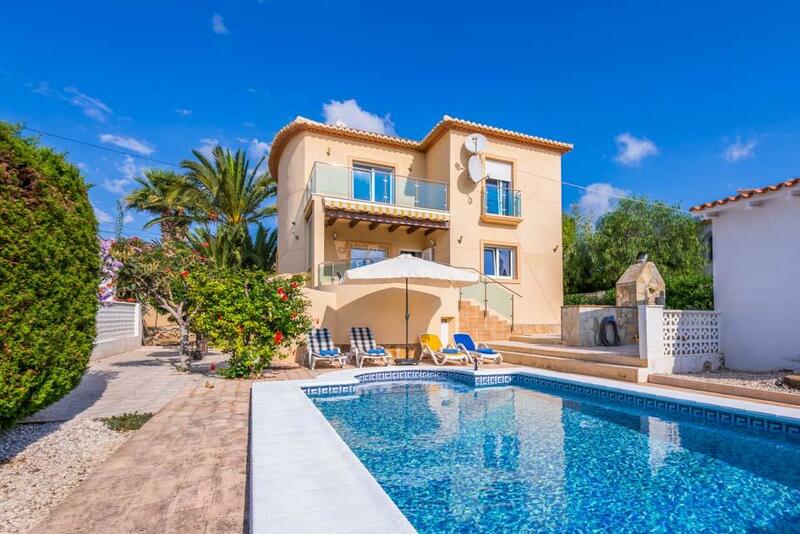 Casa Rambla is the perfect choice for those not wanting to drive whilst on holiday. 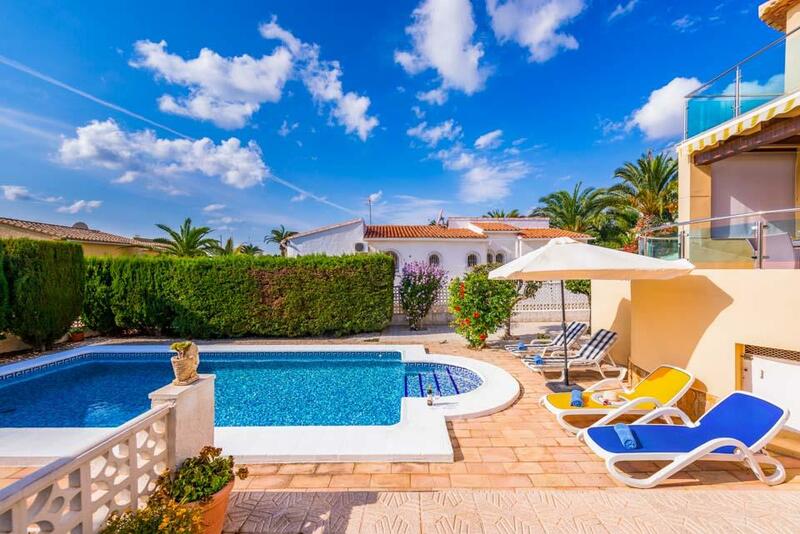 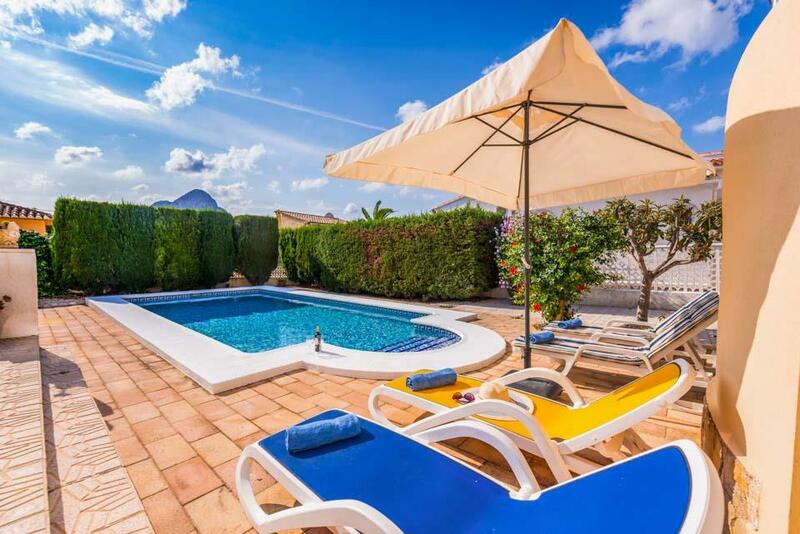 **Save up to 25% by arriving and departing on the standard changeover day** Villa Colada is a large and detached four bedroom villa picked for its location and privacy. 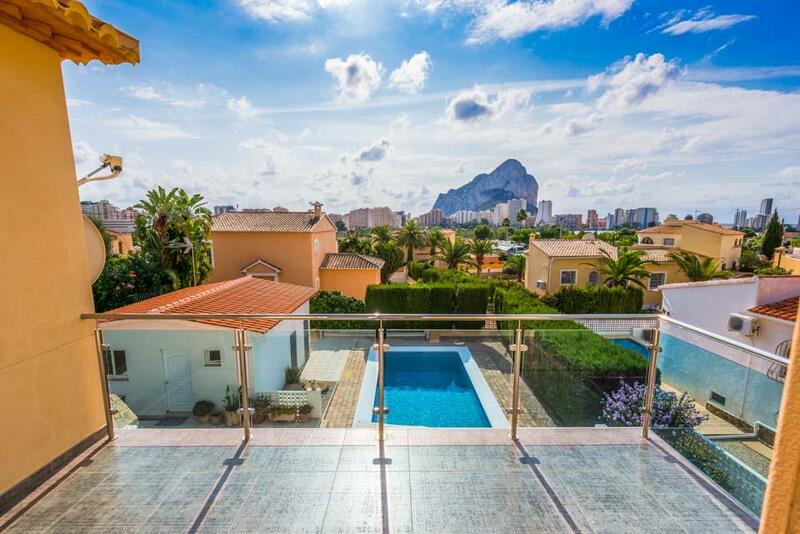 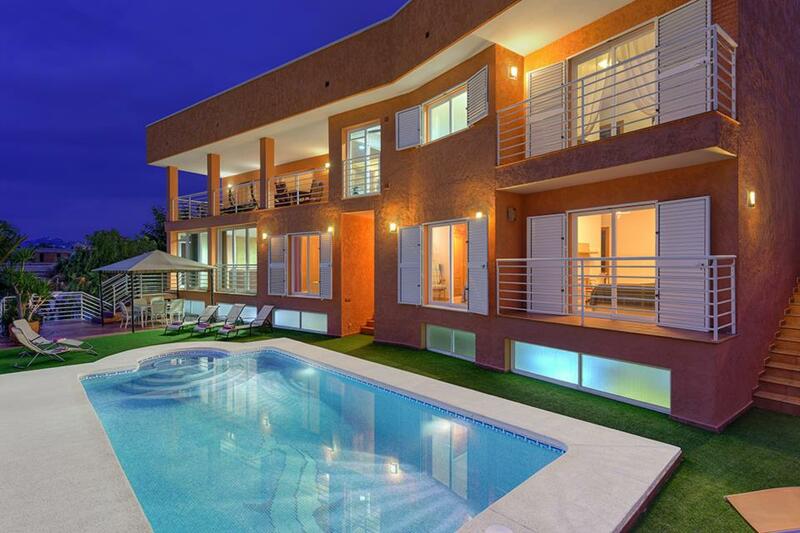 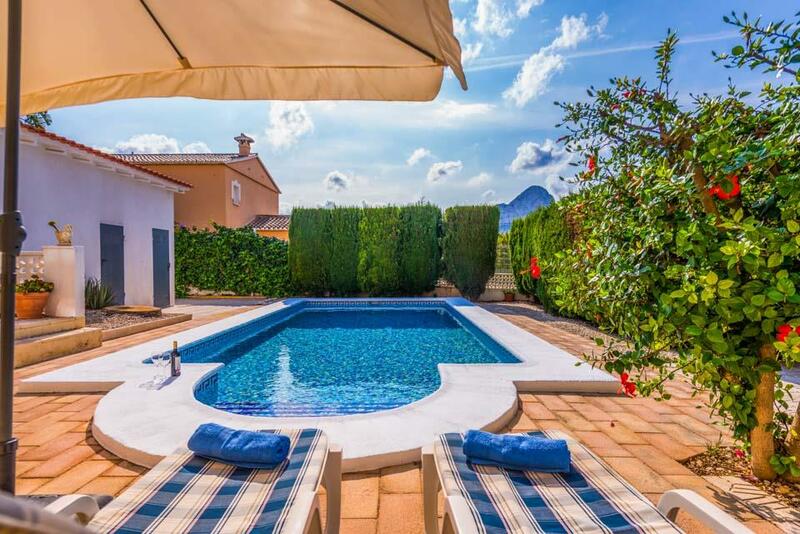 Located in the peaceful area of Benicolada, all amenities, town and Calpe’s main..